Simply glue your design or gemstone onto the 5mm flat pad of this stick pin to create a lovely brooch. We would recommend using Devcon 5 minute epoxy glue for a secure bond. Combine with our plated stick pin protectors to complete you brooch and secure it onto clothes. 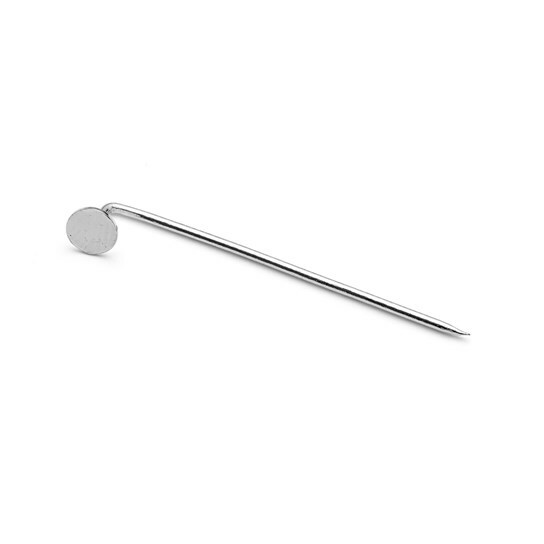 Stick pin measures 38mm long with a 5mm flat pad. This product is Nickel Safe and complies with EC Nickel regulations.